This highly requested and wanted specialty product is now available from Minor. 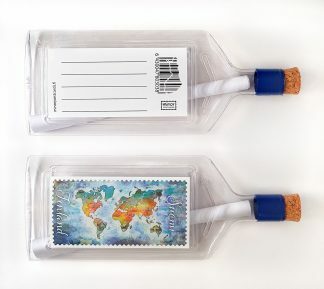 The bottle is made of durable clear plastic and it contains a size A5 paper sheet for letter writing. The label on this bottle is a world map illustration done by Ronja and on the other side there’s room for an address and postage. 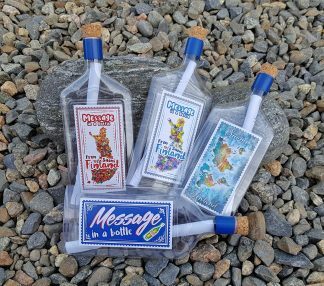 Remember to seal the cork with the blue tape! 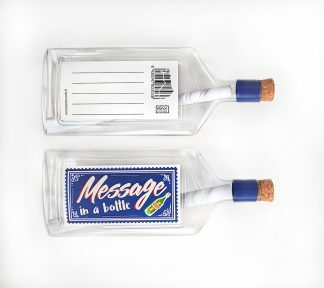 The tape is included in the neck of the bottle.